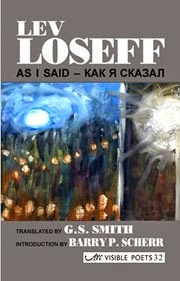 With this in mind, both Russian and English versions are here provided “side-by-side because translations do not displace the originals; they shed new light on them and are in turn themselves illuminated by the presence of their source poems.” And translator G. S. Smith shows a similar attention to detail and attitude that goes beyond mere words: Smith was actually able to translate much of Loseff’s personality in the poems, as the two collaborated over the translations over a period of several years and Loseff gave his approval to the resulting works. 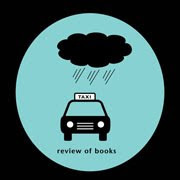 Loseff, an editor himself who has translated Joseph Brodsky, guided Smith in some areas with comments and suggestions, but his firmest request was that the poems be presented in reverse chronological order. It was Smith who chose the poems for the collection, selecting those that had the best prospects for accurate translation. Yet another scholar, Barry P. Scherr, contributes an introduction to Loseff that gives some essential biographical information, making the poems that much more compelling. Loseff was part of what was casually called the “philological school” of Russian poets; intensely familiar with and influenced by traditional Russian literature, he refers to his country’s most famous writers (e.g. Pasternak, Dostoevsky, and Pushkin) in many of his own poems. Besides this cultural expertise, Scherr notes that Loseff is also a poet of observation, one whose emotion “arises from contemplating the world outside the poet, rather than the writer’s most intimate thoughts.” Yet Loseff does reveal himself on his terms, subtly, and G.E. Smith picks up on such nuances. A great deal is revealed in the poetic subtext: “Burst” and the phrase “flowed heatedly” contrast with the idea of ease. In fact, Loseff uses variances of “easy” four times in the poem’s three stanzas. At the conclusion, there’s a play on words in regard to blood—using both “give” and “let”—that indicates a sense of surrender despite the lightness he’s just described. Curiously, Loseff initially speaks of the “doctor” delivering the news, only to repeatedly call him “MD” afterwards. The usage on the facing page in Russian also uses a different word for doctor after the first, which made me curious if there was an aural play on words here, as “MD” in English sounds like “empty.” Does the Russian word Loseff used, Врач, also hint at another meaning? Throughout the collection, Smith’s translation beautifully captures a duality to the meanings. A phrase like “the river’s molten-honey seethe” in a poem about the death of a commercial area easily reminds the reader of the river Lethe and the feeling of forgetfulness. The layers are uncovered by Smith but never fully revealed—keeping Loseff an enigmatic poet whose work is destined for further study.